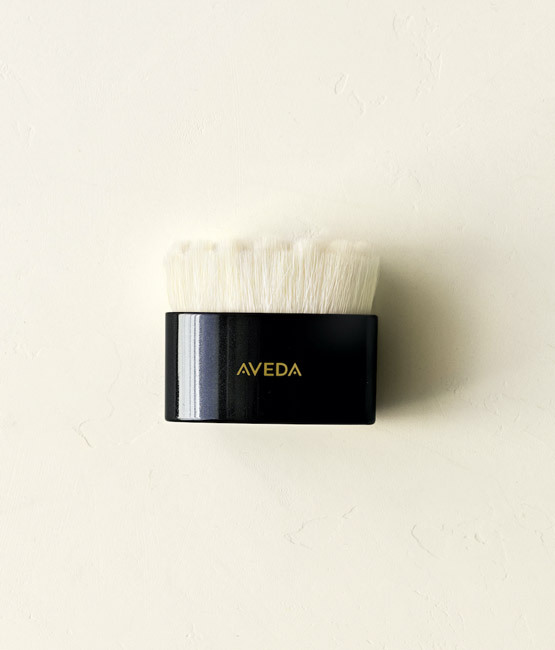 Aveda is transforming how we take care of your skin. 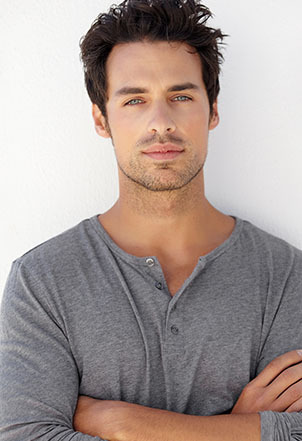 We’ve just launched the Tulasara™ line, which we’re so excited to introduce. It’s all about high-performance meeting high touch, it’s wildly different—and it’s effective. 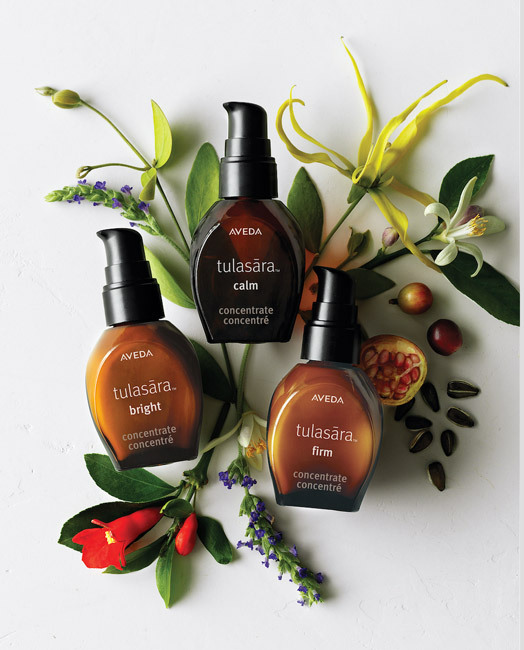 The name Tulasara™ means “moving toward balance” in Sanskrit and is a family of advanced performance skin care and facials that helps accelerate skin’s natural ability to restore itself. 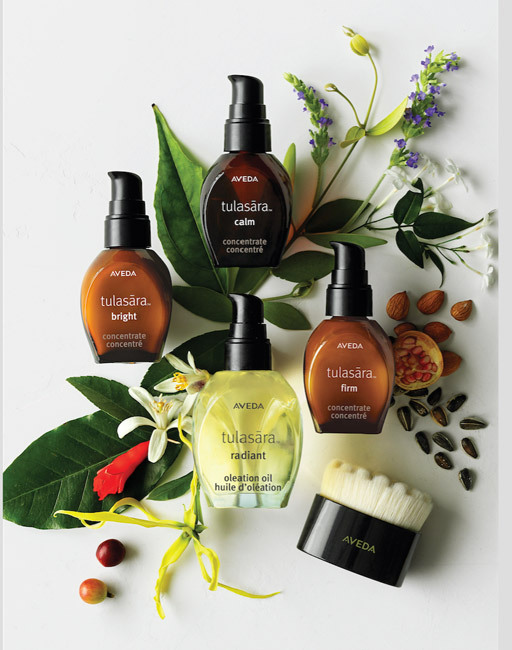 The Tulasara™ Radiant Awakening Ritual is a daily, two-step skin care ritual of gently dry-brushing the face, neck and décolleté, followed by self-massage to help promote microcirculation and immediately leave skin looking more radiant. 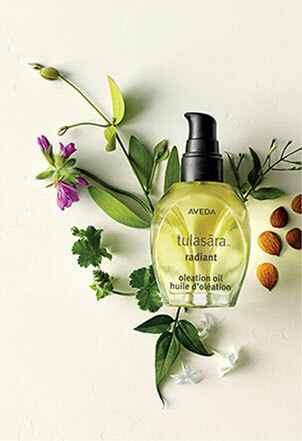 The Tulasara™ Radiant Oleation Oil is a 100% naturally derived blend of six plant oils, including certified organic rose, jasmine and geranium, that help nourish the skin and restore skin radiance. You can just imagine how heavenly it smells. You can also add a Tulasara™ Concentrate to the mix, for more dramatic results. These serums help accelerate the skin’s natural ability to restore and rehydrate itself. They are available in three targeted formulas—Firm, Bright and Calm. (We can help you choose the one that’s best for your skin). 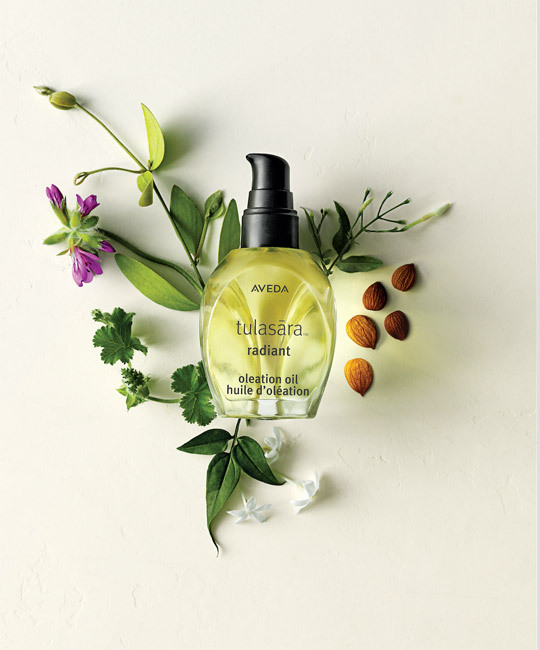 And then, there are the Facials, only available in-spa with the Aveda Tulasara™ professional grade products. Whatever your skin concern- skin that’s Dry, Sensitive, Oily, Acne-prone, or needing Exfoliation, there’s a Tulasara™ facial for you.